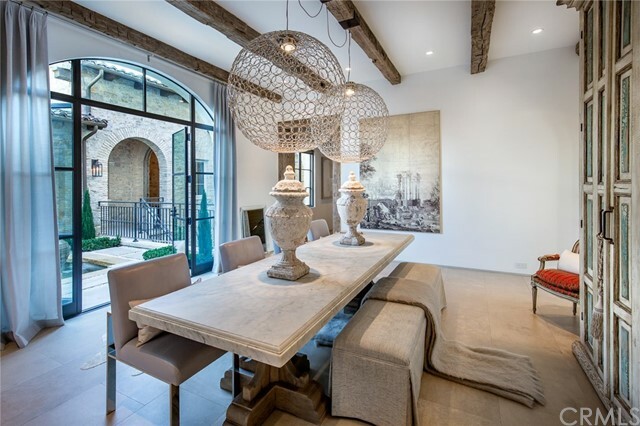 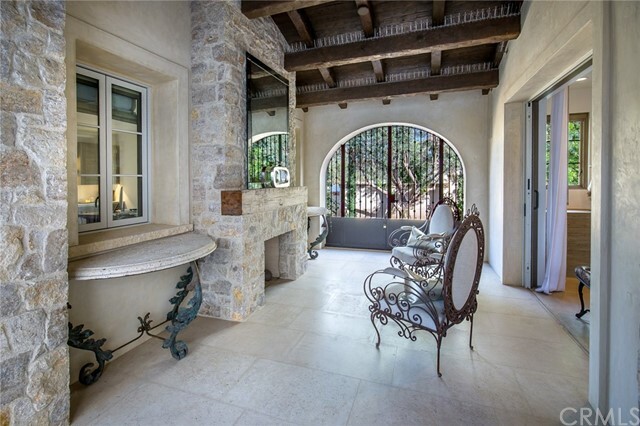 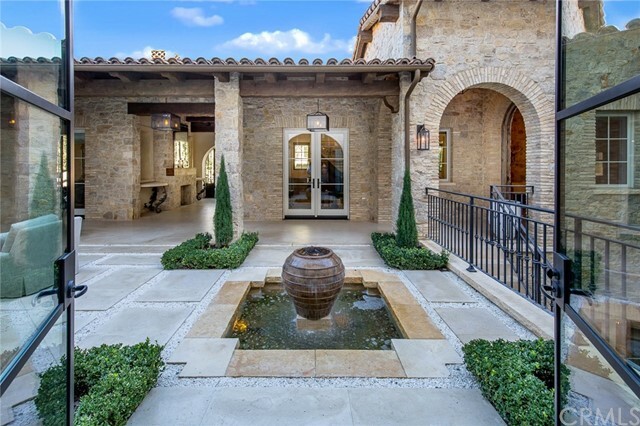 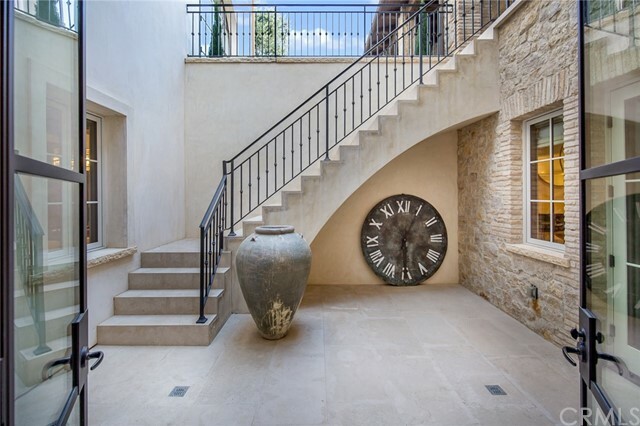 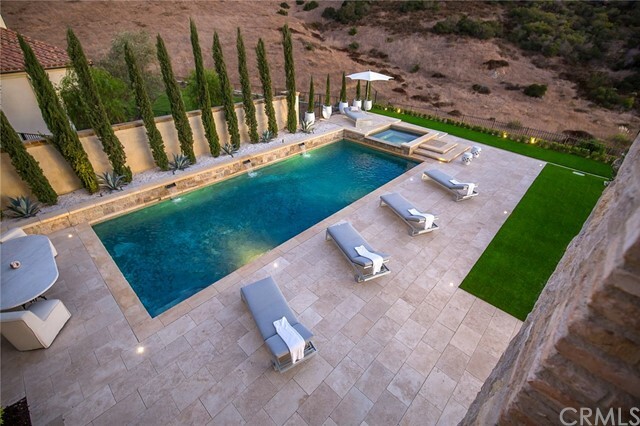 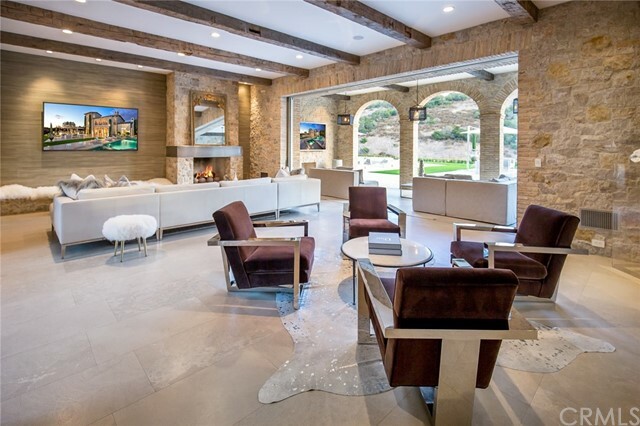 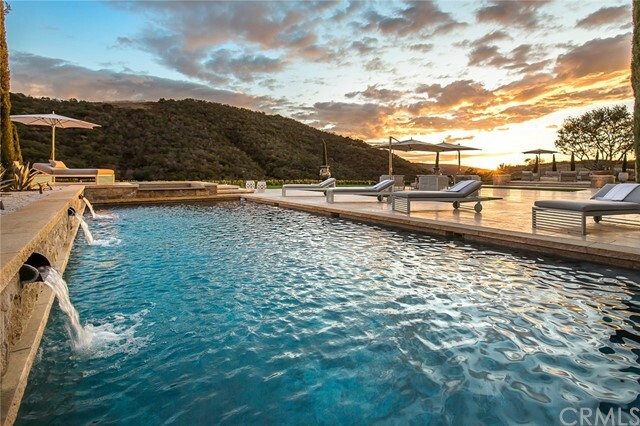 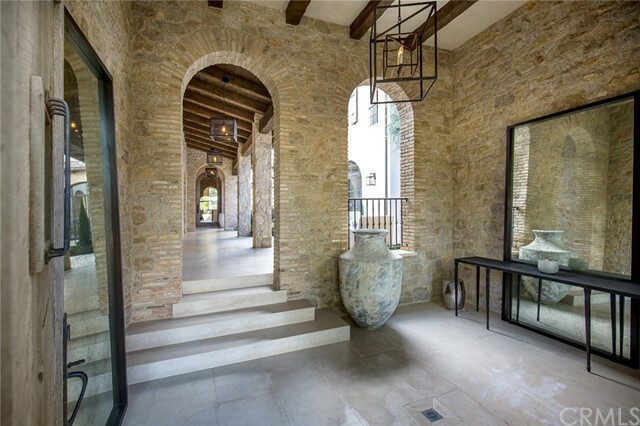 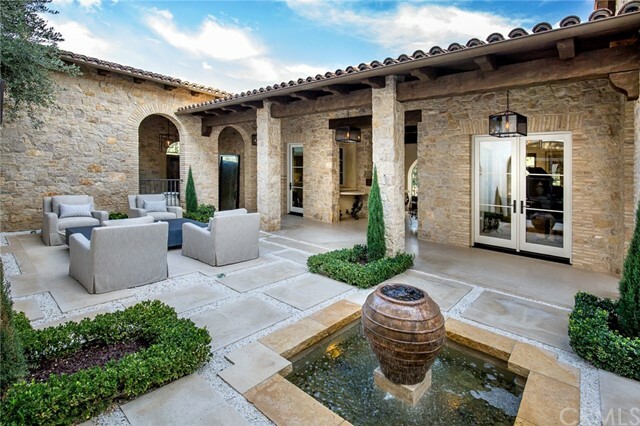 Reminiscent of time-honored Italian villas with a contemporary twist, this prodigious retreat reflects the merging of inspired architecture and modern amenities in a setting of complete peace and privacy. 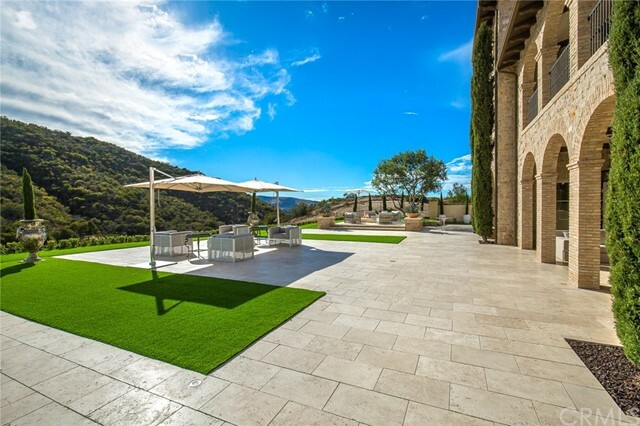 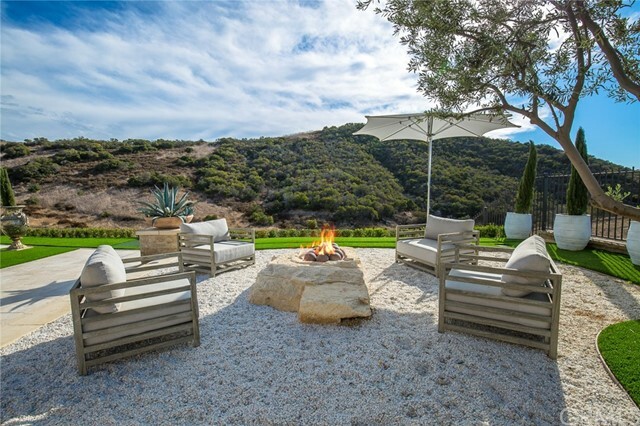 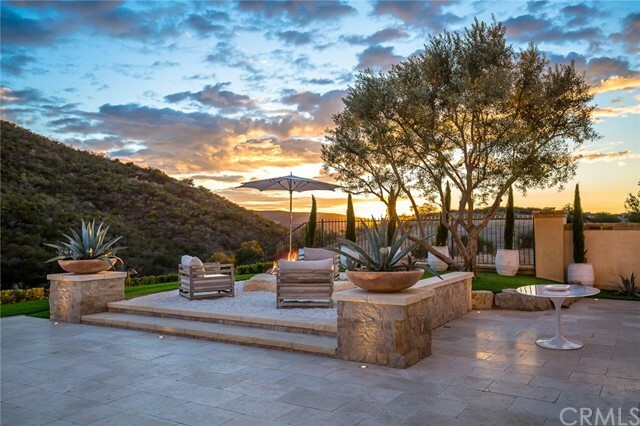 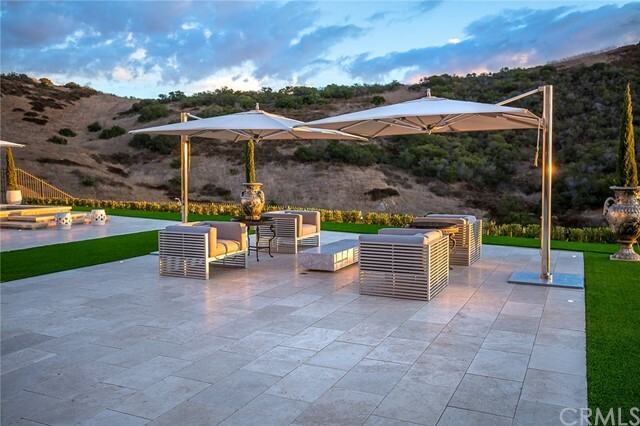 Views of rolling hills and color-soaked sunsets surround the 10, 500+ sq. 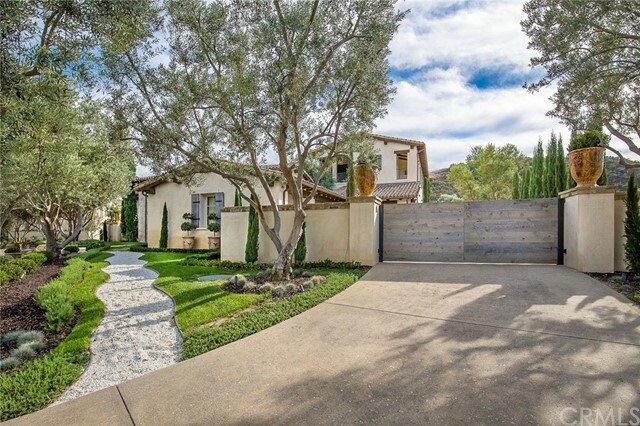 ft. home set on more than one-half-acre. 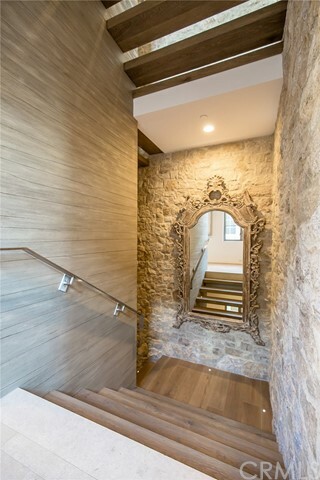 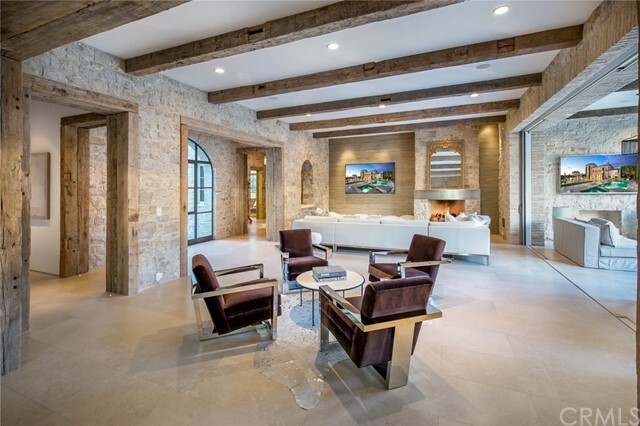 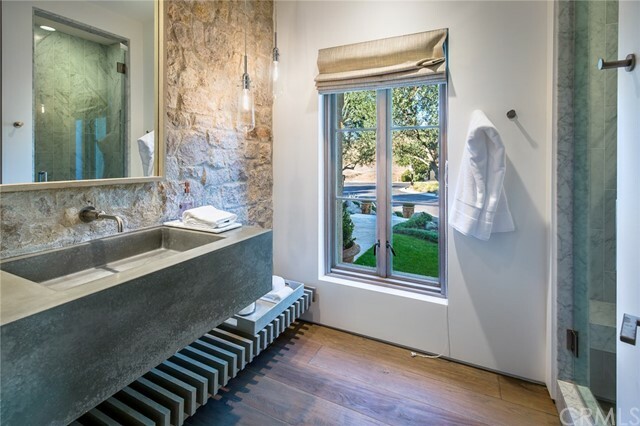 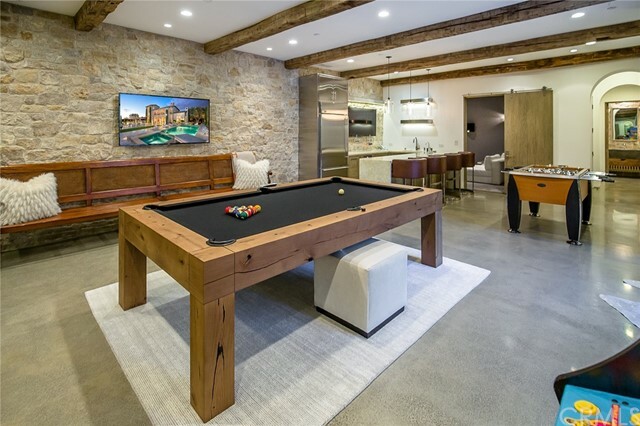 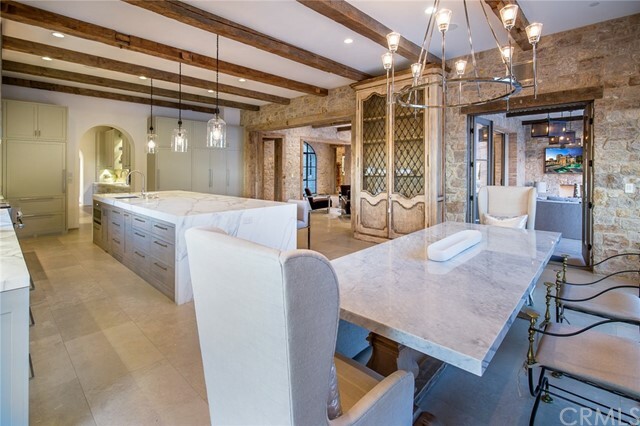 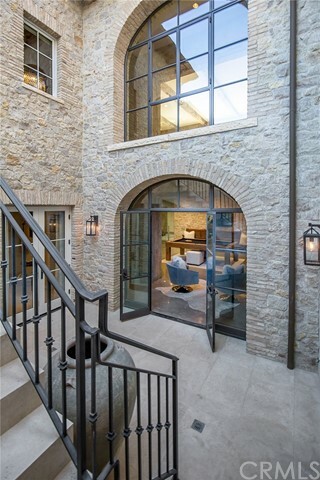 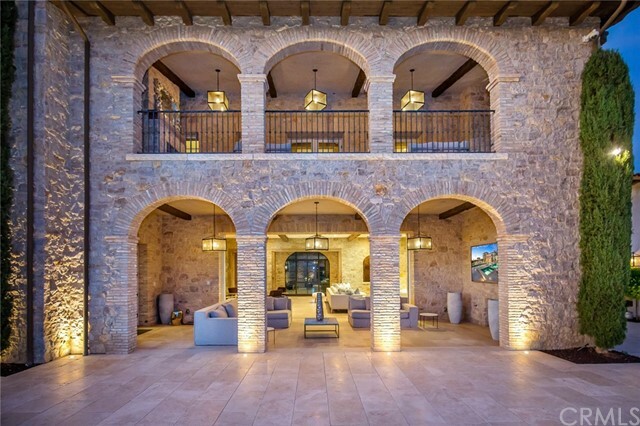 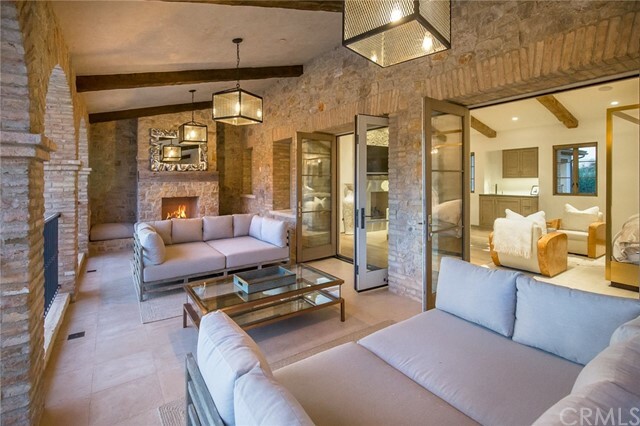 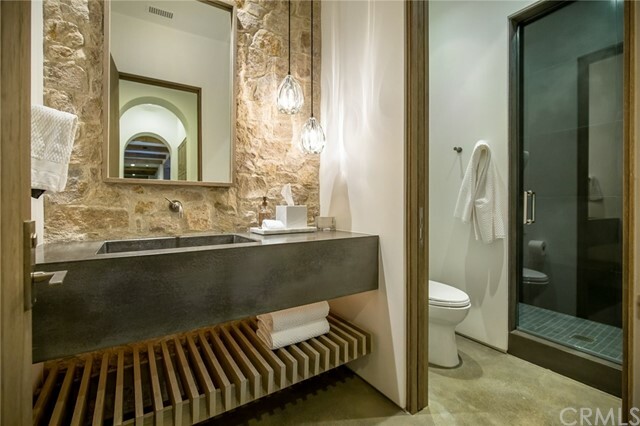 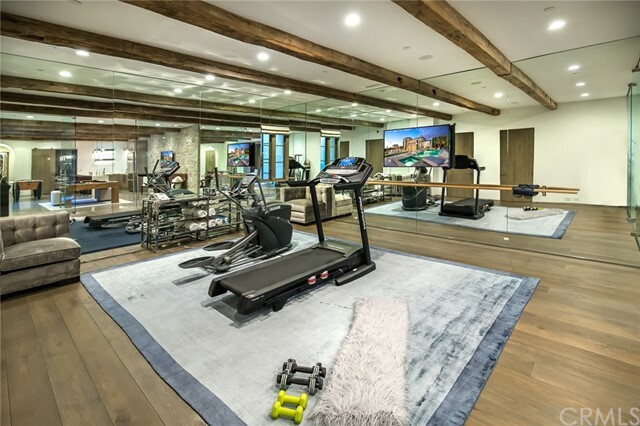 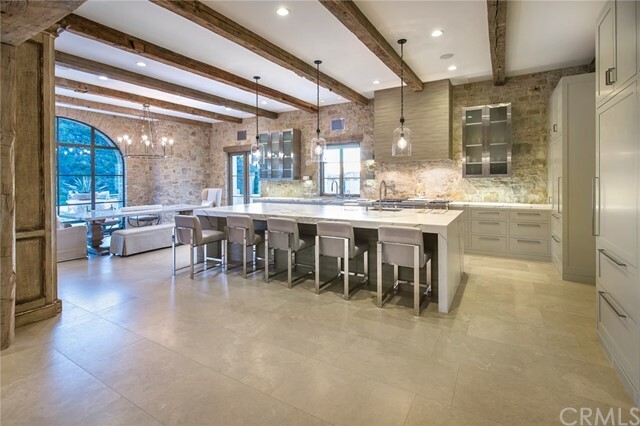 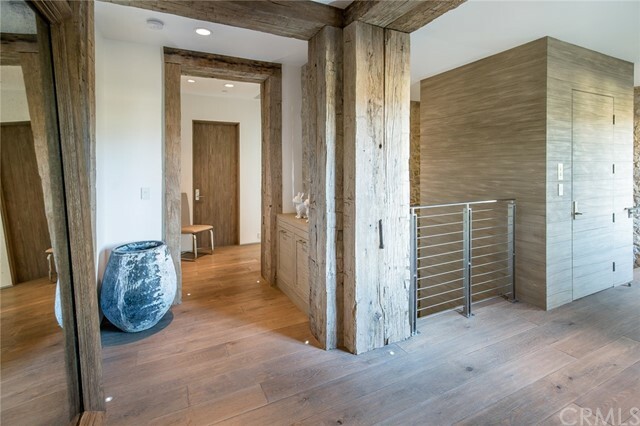 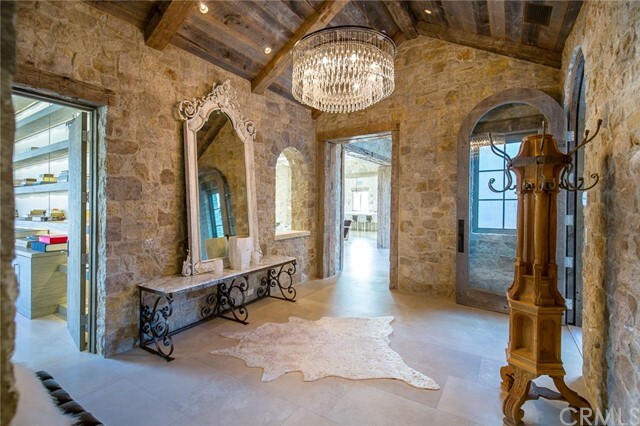 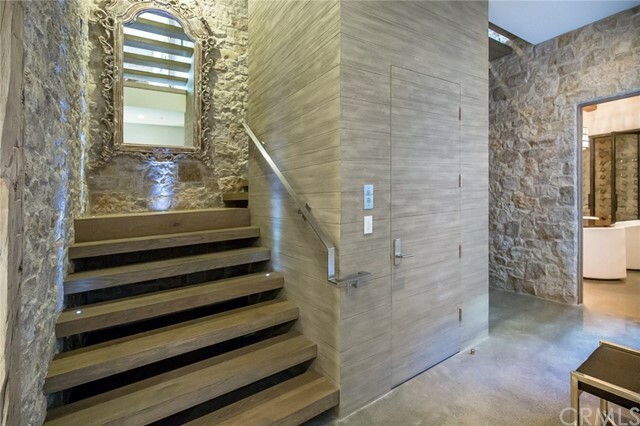 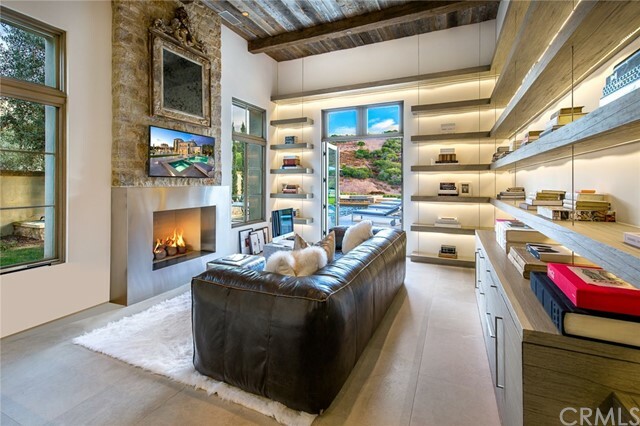 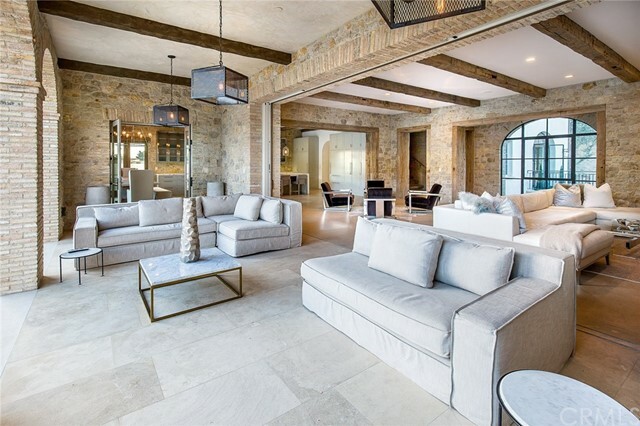 Designed by Richard Krantz and brought to life by Rodeo Homes, the unique residence offers centuries-old character thanks to an extensive list of rich amenities and materials including reclaimed wood beams, handsome stonework, custom ironwork, and designer lighting. 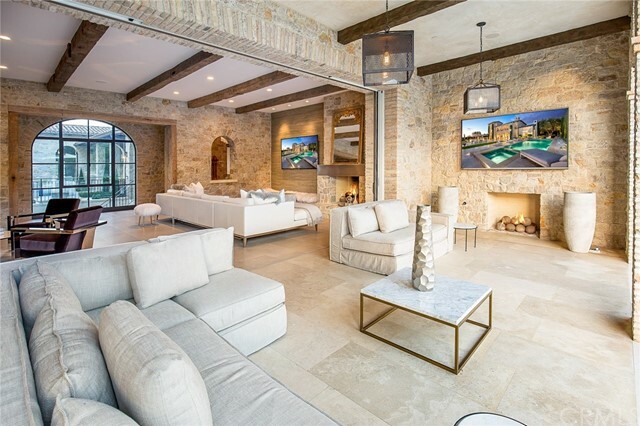 The generously proportioned home is distinguished by 5 bedrooms, 8 bathrooms, den, office, and open-concept formal and casual living spaces that open to covered loggias, patios, and balconies. 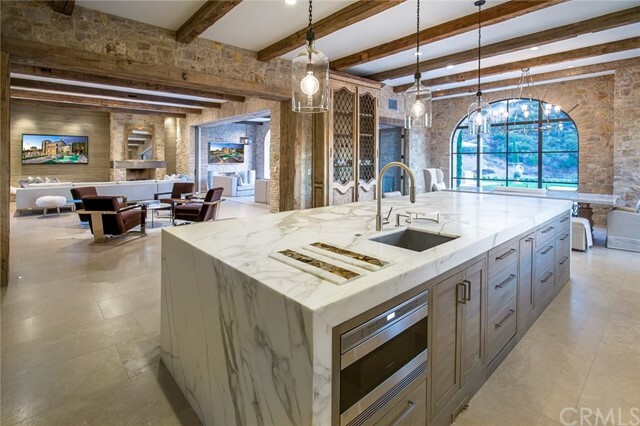 A professional kitchen featuring top-line appliances and marble waterfall counter tops beckons the maestro della cucina; while, the subterranean level guarantees memorable entertaining with game room, bar, wine storage and tasting room, fitness center, hair salon, guest quarters, courtyard, and commercial-quality theatre with 4K projector and appx. 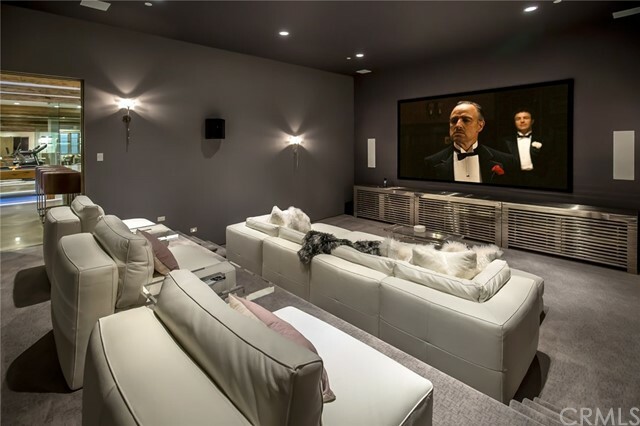 14 ft. screen. 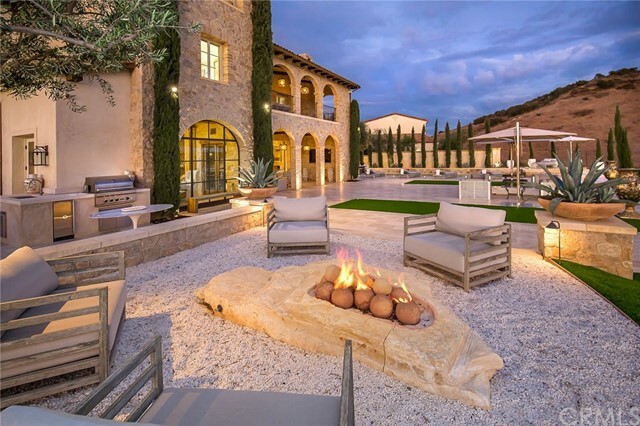 The equally impressive grounds are host to a pool, spa, fire pit, beautiful hardscape and landscaping â€“ perfect for dining al fresco. 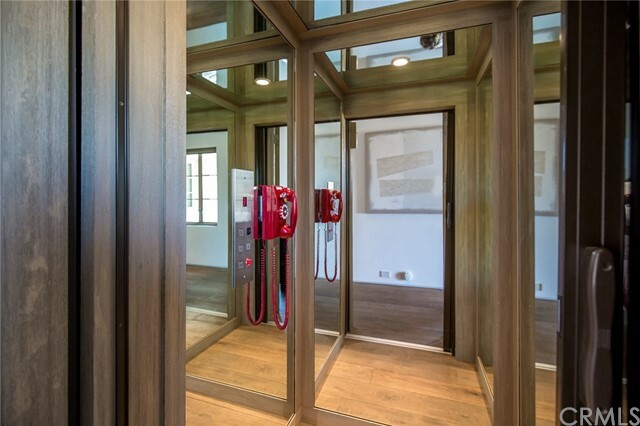 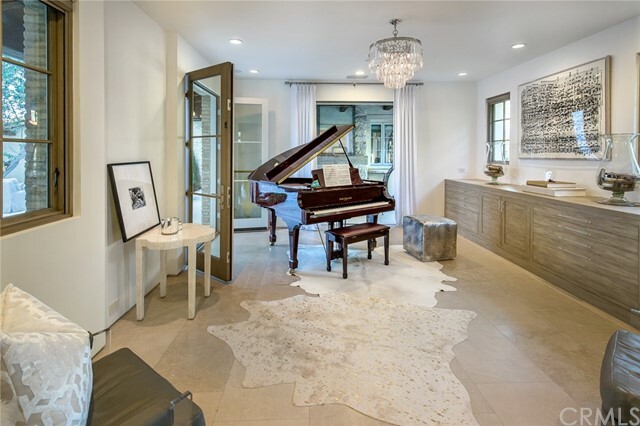 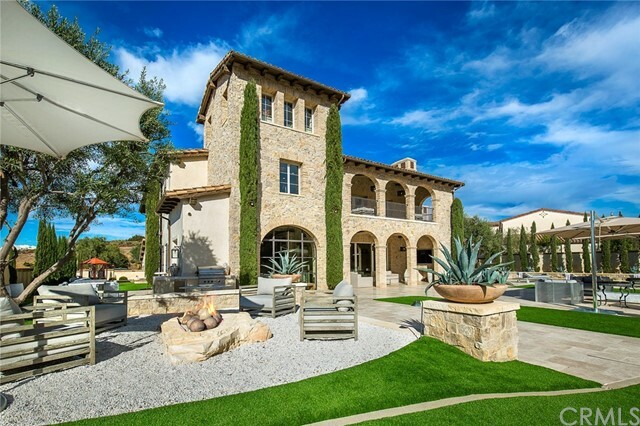 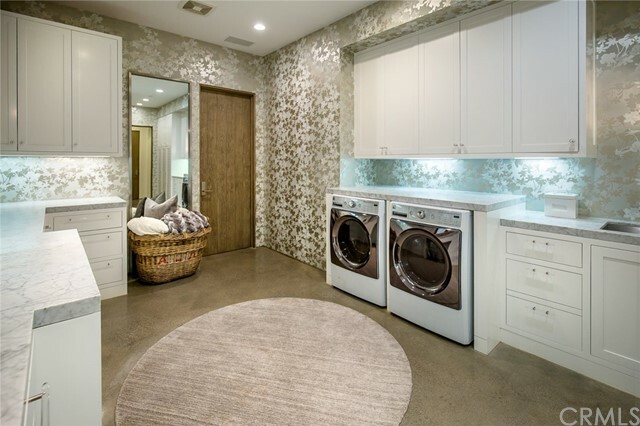 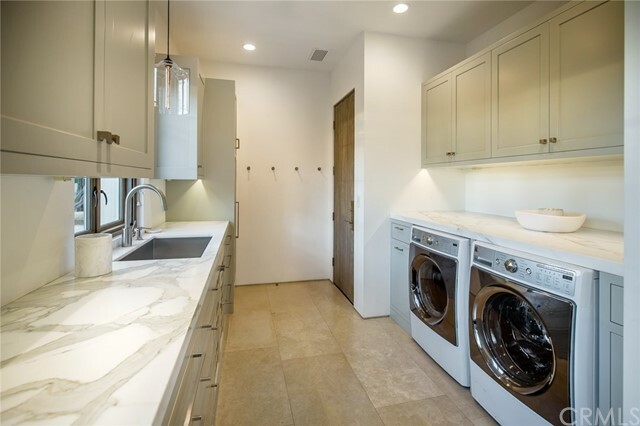 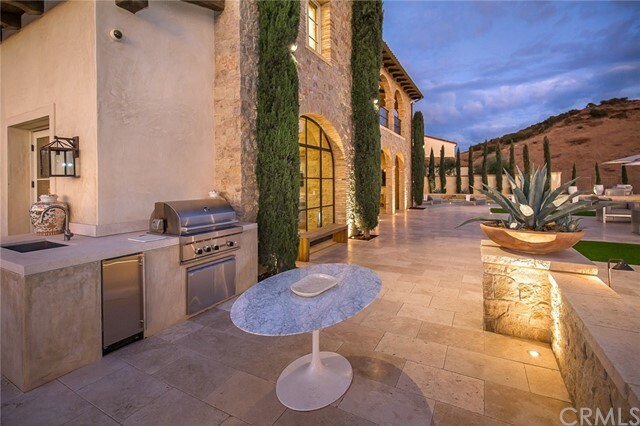 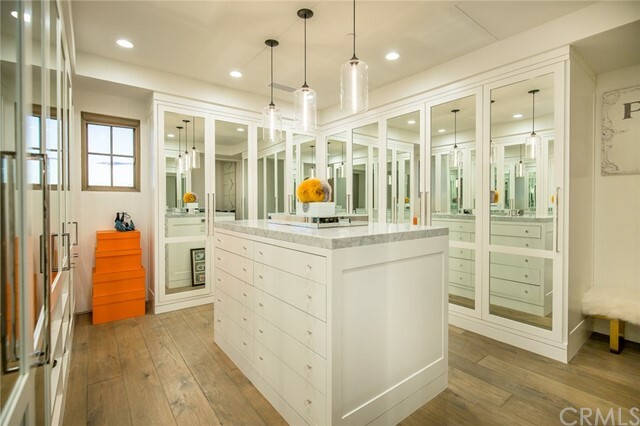 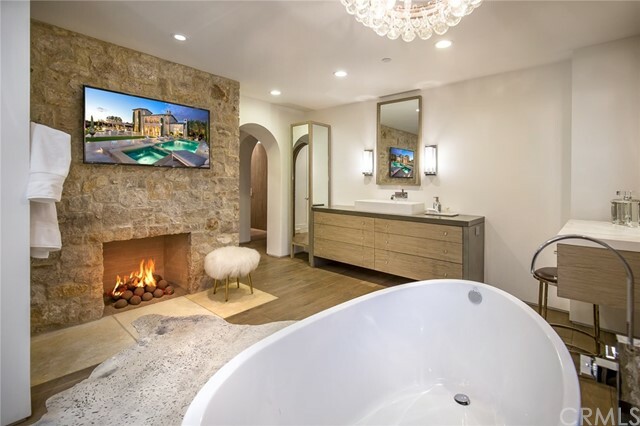 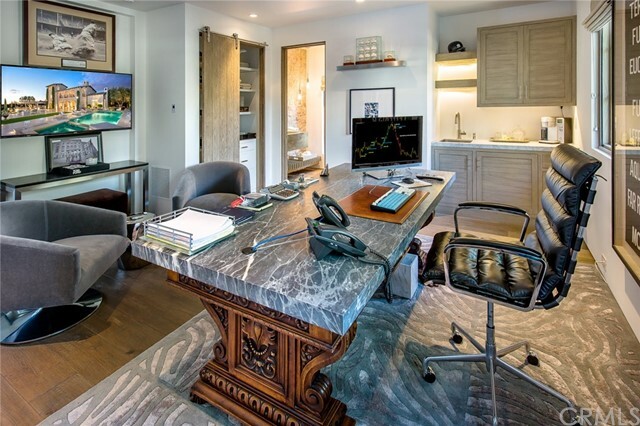 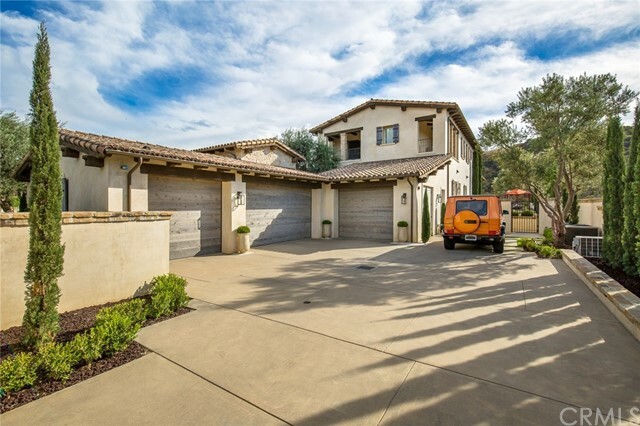 Additional highlights include a 3-stop elevator, gated driveway, 4-car garage with EV charging, smart-home technology, security cameras, and access to community amenities within the guard-gated enclave of Shady Canyon.